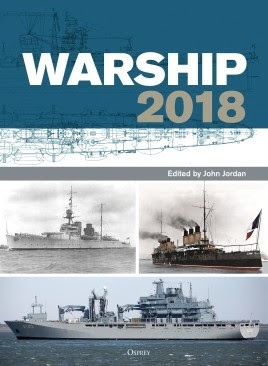 Warship 2018 is devoted to the design, development and service history of the world's combat ships. 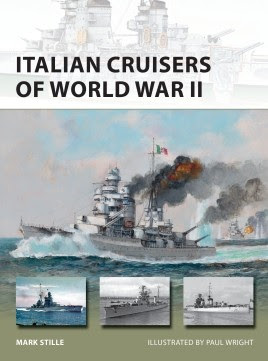 Featuring a broad range of articles from a select panel of distinguished international contributors, this latest volume combines original research, new book reviews, warship notes, an image gallery and much more to maintain the impressive standards of scholarship and research from the field of warship history. This 40th edition features the usual range of diverse articles spanning the subject by an international array of expert authors. 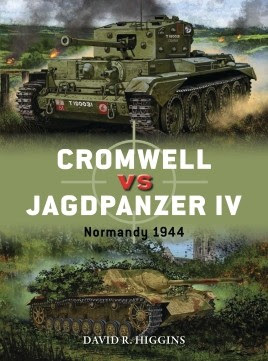 As the war began to swing in favour of the Allies, it became clear that no final defeat of the Third Reich would be possible until the armoured monsters of the Panzerwaffe were defeated. But who would, or even could, take on the mighty Tigers and Panthers, just a handful of which could stop entire formations in their tracks? The answer lay with the formation of a new type of unit, the Tank Destroyer Battalion. This is the story of the men and machines that made up the very first Tank Destroyer Battalion, the 601st, from their unique training and formation, to the final, desperate battles in the heart of Nazi Germany. 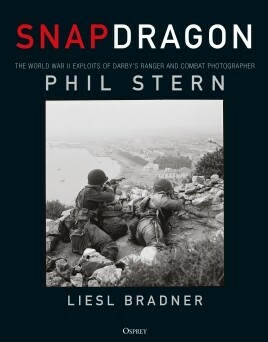 Packed with rare material, letters, diaries and previously unpublished photographs, and now available in paperback, this is an intense and intimate chronicle of the men who fought the Panzers in an astonishing 10 campaigns and 546 days of lethal combat. In 1519, the Conquistador Hernán Cortés landed on the mainland of the Americas. His quest to serve God, win gold, and achieve glory drove him into the heartland of what is now Mexico, where no European had ever set foot before. He marched towards to the majestic city of Tenochtitlan, floating like a jewel in the midst of Lake Texcoco. This encounter brought together cultures that had hitherto evolved in complete isolation from each other - Catholic Spain and the Aztec Empire. 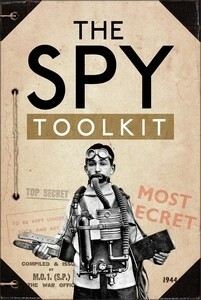 What ensued was the swift escalation from a clash of civilizations to a war of the worlds. 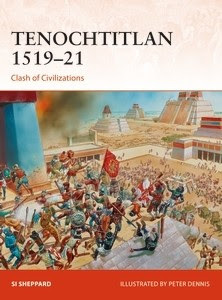 At the conclusion of the Conquistador campaign of 1519-21, Tenochtitlan lay in ruins, the last Aztec Emperor was in chains, and Spanish authority over the native peoples had been definitively asserted. With the colourful personalities - Cortés, Malinche, Pedro Alvarez, Cuitláhuac, Cuauhtémoc - driving the narrative, and the vivid differences in uniforms, weapons, and fighting styles between the rival armies (displayed using stunning specially commissioned artwork), this is the fascinating story of the collapse of the Aztec Empire. After the US declaration of war on Germany, hundreds of thousands of American troops flooded into France and were thrust into the front line. 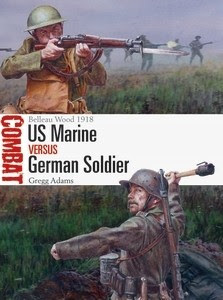 Among them was the US Marine Corps' 4th Marine Brigade whose first major action was the battle of Belleau Wood in June 1918, fighting elements of Germany's 10th, 28th, and 237th Infantry divisions. 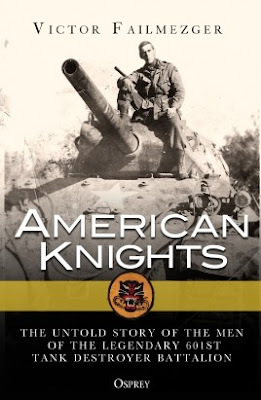 Volunteers to a man, the newly arrived Marines faced experienced but war-weary German conscripts whose doctrine had been honed by nearly four years of conflict on the Western Front. During the fighting, the Germans are alleged to have given the nickname "Devil Dogs” to the Marines, and Belleau Wood has become enshrined in the Corps' heritage. Employing first-hand accounts and specially commissioned artwork, this book investigates three different actions that shaped the course of the bitter battle for Belleau Wood, revealing the interplay of doctrine, tactics, technology, leadership, and human endeavour on the brutal battlefields of World War I. 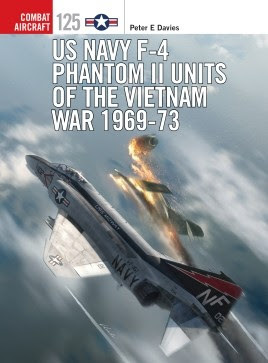 Although the F-4 Phantom II was the most important fighter-bomber to see action with all three American services during the Vietnam War, it was essentially a U.S. Navy design, and the carrier-borne squadron crews were its main operators in combat. The aircraft pioneered the use of long-range, radar-guided missiles in combat, although the majority of its Vietnam missions involved ground-attack with a variety of innovative ordnance. From 1968 to 1973 the Phantom II was the standard U.S. Navy fighter in Southeast Asia, having replaced several other types. 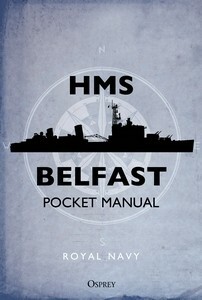 Its performance and versatility enabled it to perform a variety of different missions, and switch roles as necessary, in the assault on some of the world's most heavily defended territory. 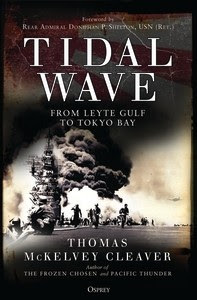 Including detailed colour profiles and first-person commentary from active participants in the F-4's naval combat history, this is a detailed study of the U.S. armed services' most famous post-war fighter. All these forces were uniformed and equipped by the parent armies, though often with explicitly Polish features. The collapse of Tsarist Russia in 1917 and of the Central Powers in 1918 allowed these diverse forces to unite in a re-created Polish Army under the new-born Second Polish Republic in November 1918. 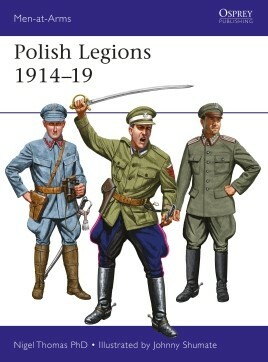 With full colour illustrations of their unique and colourful uniforms as well as contemporary photographs, this is the fascinating story of the Poles who fought on both sides of the trenches in World War I and then united to fight for their freedom in the Russian Civil War.